Hey everyone! Jessica here again with another update from the 2nd Annual Chalk Walk art festival hosted by the Tampa Bay Businesses for the Arts and Culture (TBBCA). This year&apos;s Chalk Walk Festival, the public art display of chalk drawings along the sidewalks of Hyde Park Village, will feature an accessible art element to showcase the talents of professional artists with disabilities. 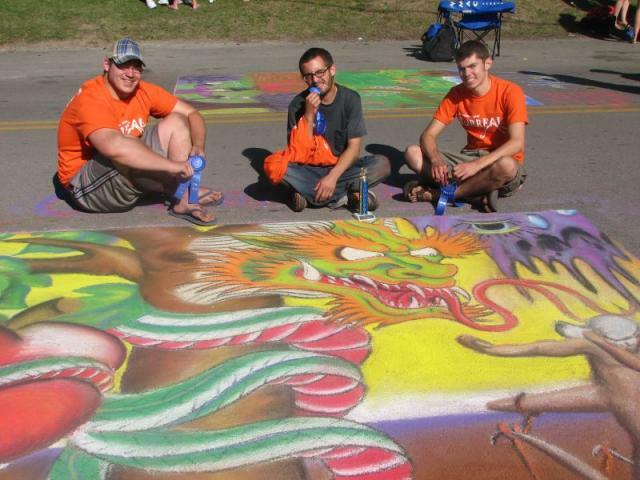 The TBBCA recently announced that artists from four organizations- Creative Clay, MacDonald Training Center, Pyramid and VSA Florida- will participate at Chalk Walk, which takes place the weekend of May 7, 8, and 9. VSA Florida will provide its Arts for All equipment, which includes a variety of tools designed so that individuals with limited movement or fine motor skills can still have the opportunity to express themselves creatively. Need to know more about what this Tampa Bay area events got going on?? Well.... Chalk Walk is a public art display of chalk drawings that will cover the sidewalks of Tampa&apos;s Hyde Park Village. The inaugural event featured an impressive roster of more than 25 professional and amateur artists and this year&apos;s festival has even more artists on the list including featured artist, Lee Jones. The three-day festival includes family-friendly entertainment, live music from Chris McCarty and Have Gun, drink specials on Friday and Saturday, food, art for sale, and so much more.